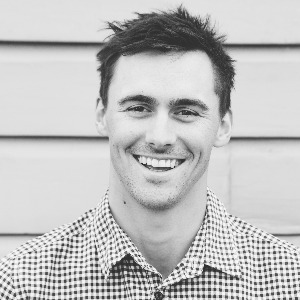 My name is Jarrod Harvey, a professional Triathlete and Coach who has been immersed in Triathlon since the age of 13. I am passionate about developing my athletes with high amounts of feedback and personalised programming. I focus on all levels of Triathlon from sprint to Ironman distance & all ability levels. My services are provided by correspondence, however with regular athlete/coach contact I have the ability to be very accessible to my athletes. I look forward to hearing from you soon. A qualified Teacher, I have a passion for providing and furthering my athlete's understanding of their bodies, so much so I completed my 'Masters of Sports Coaching' in 2014. This passsion naturally led me to a career in Triathlon coaching. My coaching philosophy is all about providing a personalised service for my clients. I enjoy interacting with them and interpreting their critical data and sharing this journey with my athletes. Season planning and programming that fits around their current lifestyle is a key factor as I believe Triathlon should compliment their current commitments, not detract from them. I accept athletes of all types. If you are interested in doing your first Triathlon or would like to better your PB - I would love to help you. Success. Coach Jarrod Harvey has been notified of your message. To hire Jarrod Harvey as your coach, select the coaching service that is right for you.